May 24 will be the peak of the shower of the leftovers of the comet P/209 LINEAR. 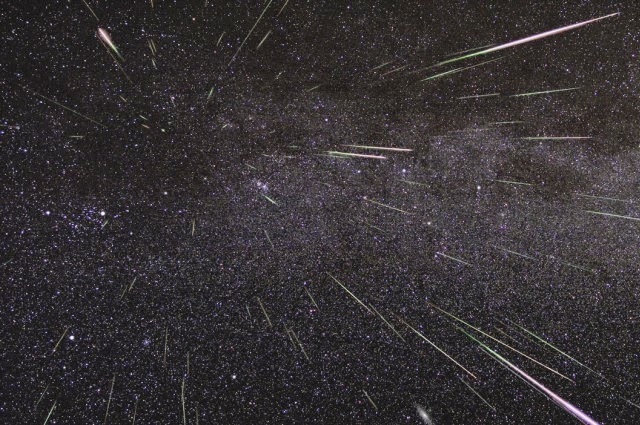 This meteor shower is not going to last very long to observe, but it will be quite stunning with over 100 detections per hour. The finest sight of the meteors will be just before dawn and will seem to be approaching from the constellation Ursa Major (also mistakenly recognized as the “Big Dipper”). If due to any reason you aren’t going to be able to see the meteor shower with your own eyes, the Slooh Space video camera will be streaming the event live, so you’ll be able to see it no matter where you are!